Sally from The Friendly Book Nook's Review: I had a little bit of a hard time getting into this book, but once I did, I was hooked and read it within a day. I loved the premise of a strong Amish teacher who didn’t let her birthmark completely define her. Lena was a strong and interesting character. She was treated unfairly by many of the parents as she was only looking out for her students interests. I liked this book because the characters struggled with real issues that anyone could relate to. 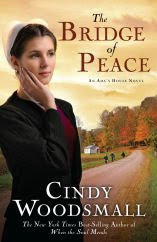 I’m not sure what the fascination of Amish fiction is but I enjoy most of them – maybe because they bring me into a world I can understand easily, but that world is completely different than my own. There are several good authors to choose from – each with their own strengths. This book is the second in a series, and now I will download that first book. Although second in a series, it is great as stand alone. I just love to read series.